If you are planning on creating an online directory, listing and personal themes, then WordPress is the perfect platform for your project. There are plenty of great themes on offer that includes all the features you need to build a professional theme. This time we would like to showcase the best Directory and Listing themes for job board, car dealership, real estate, website, business, service and other directly listing websites. Here’s a list of some of the Best Personal, Directory & Listing WordPress Themes that you can use for almost any purpose. Useful features include Bootstrap and Cherry Framework functionality, crossbrowser compatibility, SEO optimization, audio/video integration, 3 sliders, plenty of font and color choices, custom page templates, and more. Also simple menu and grid-based content structure facilitate navigation. The template features everything you need to build a fully-personalized website, including valid code, advanced theme options, portfolio, services and testimonials sections, and much more. To some extent, the template resembles an infographic, where different types of content are opposed to a different background. Power builder enhance your blog’s functionality. 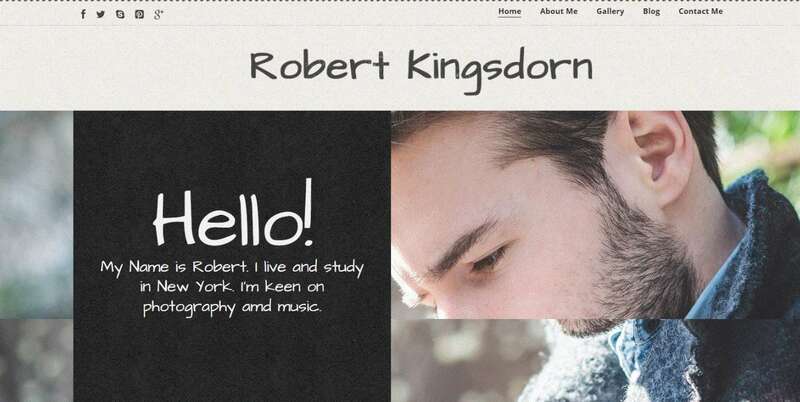 Website slider helps to make a creative presentation of your personal page. Also includes Live Customizer, various headers and footers, color schemes and Google fonts. Features includes Admin Panel, Bootstrap, Cherry Framework, Responsive, Search Engine Friendly, WPML ready, Ecwid Ready, etc. Writing is a clean and minimal blog theme for writers who need to create personal blog site with simple creative features and effects. 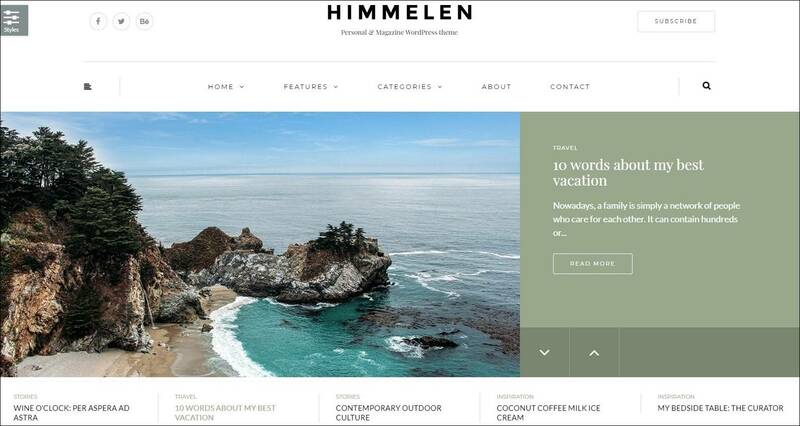 Himmelen is one of the most Elegant, Clean and Creative WordPress Personal blog theme. Personal, Professional, and Advanced theme. Best Blog, CV and Video WordPress theme. Service Finder WordPress theme is an advanced business and service directory theme. AutoStars is a powerful WordPress theme designed and developed for Car Dealership Business, Auto Listing websites and comes handy for any kind of Listings websites. This is the best directory theme + Multiple Purpose (you can create various styles). It’s based on Visual Composer Drag and Drop + Extra Shortcodes ( Ultimate Addons ) + Javo Shortcodes. DocDirect is a purpose built Directory WordPress theme for health care and other related professions. ListingEasy is a functional and intuitive directory and listing WordPress theme. Medical Directory is a hospital and doctor listing WordPress theme with front-end listing submit option. This theme supports any woocommerce payment gateway and woocommerce subscription. Content focused Directory Portal that can be used to list any type of business entity or activity. Also very well designed directory theme with PayPal integration, membership levels, listing submission forms, services, gallery portfolio, blog, FAQ, search, 404 page templates. An ultimate directory theme for service providers which has a clean and contemporary design and awesome features. WordPress Listing Directory theme. Perfect for local businesses owners and promoters or any kind of web directory. 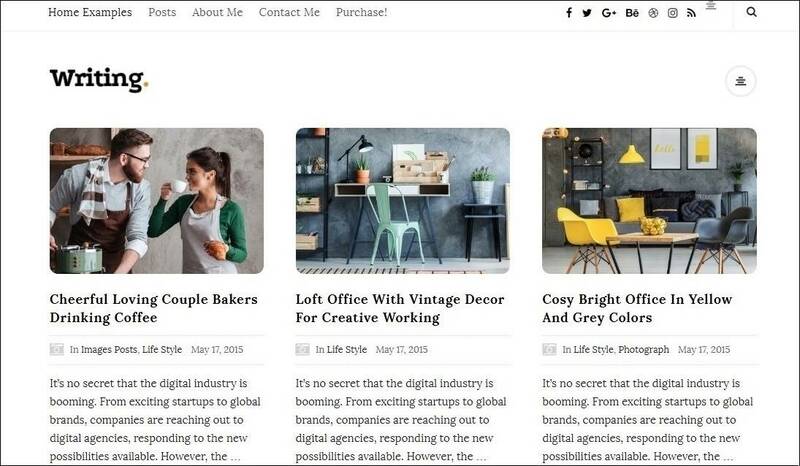 These are the best Directory WordPress themes with their features. You don’t need to visit different sites and search for Directory and Personal themes. Read the specifications and select the one that suits your requirements.